Great reputations make growth happen. 1 - What is Reputation Marketing? Welcome to the complete guide to reputation marketing! This introductory guide to the discipline of reputation marketing combines the principles of reputation management, branding, and digital marketing into the first complete resource for business leaders. You will learn actionable steps to help you intentionally cultivate and promote a positive reputation enterprise-wide. When applied to brands and businesses, reputation marketing will increase your brand equity, enhance marketing efforts, and exponentially grow your organization. Whether you work in the areas of risk, brand, growth, or talent management, or are a business leader looking for ways to focus your organization's messaging, this guide can help you get started. Why should you care about reputation marketing? ...corporate reputation accounts for approximately 60% of a company's market value and the CEO's reputation accounts for approximately 50% of the company's overall reputation. You don't enter a restaurant expecting to have bad service, purchase a product anticipating that it will break, invest in a company expecting no return, or take a job anticipating a terrible experience. You expect to have your expectations met. Reputation is an expectation of future behavior based on past experiences, which means first impressions and your stakeholder's experiences with your brand are critical to developing a positive reputation. 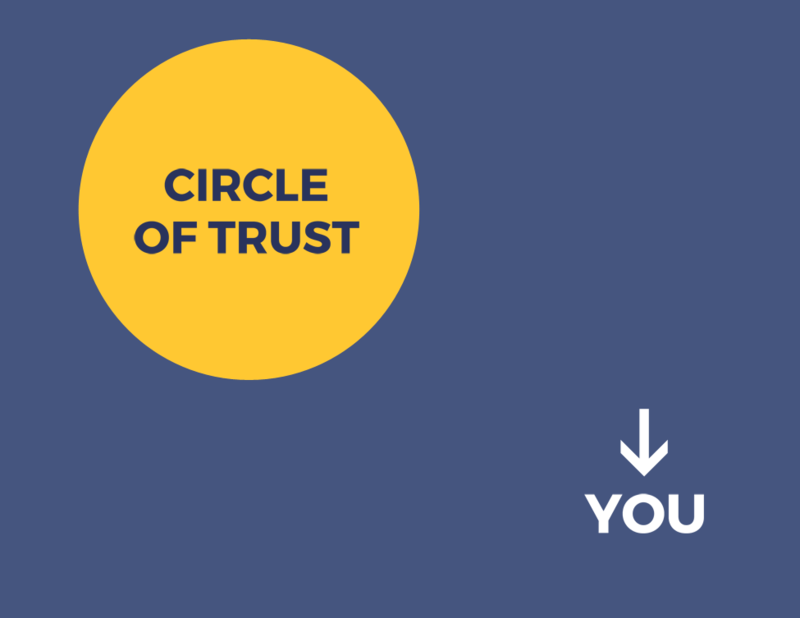 Emerging sociological and consumer trends indicate trust in brands is declining; consumers are more informed, connected, and skeptical than ever before; and stakeholders want to respect the brands they choose to engage with. This is where reputation marketing comes in. 1. the action or business of cultivating and promoting a positive reputation. Reputation marketing is what happens when you consistently meet and then exceed your stakeholder’s expectations. Anyone you engage with as a brand is a stakeholder in today’s hyper-connected, digital world. Brands and individuals that want to develop and maintain good reputations know that the conversation with active and potential consumers starts — and potentially ends — with reputation. What makes a great reputation? Great reputations are built through consistently meeting stakeholder expectations, dedication to your mission, and the element of surprise. What are the benefits of reputation marketing? Positive brand equity makes it possible for organizations to charge more money for their products or services. If consumers view your brand and reputation in high regards, they are more willing to spend more money. Brand equity promotes a stable cash flow for the future, which increases shareholder value. With a great reputation, your stakeholders market your products or services for you. People trust recommendations from friends and family, which in turn builds brand awareness. It costs less to attract customers if they already know your brand and reputation. Loyal customers are worth up to 10 times as much as their first purchase. The more customers are aligned with your brand, the more they will spend. Organizations with solid reputations can focus on growth and innovation, which in turn can result in new products and services with significant returns. Great reputations make it easier to attract top employees, who in turn can help come up with the next great idea. And that can mean — an even better reputation! Organizations actively listening to their stakeholders can innovate faster by quickly identifying and solving for problem areas and diverse need states. The price of your products or services is set by the market and in a highly competitive or specialized, you may find prices that are much higher than industry averages. The reason for this is price premiums, which are the relative price a customer is willing to pay above a base price due to their perception of an organization or product's brand and reputation. Looking at luxury good manufacturers as an example, Hermès has slightly more sales, less employees, and a significantly higher market capitalization. They're able to achieve this with an average price per bag that is 50-300x higher than Coach! When you invest in pro-actively cultivating your reputation, you're able to charge a premium that increases your revenue, lowers your operating costs, lowers marketing spend, and increases brand equity. 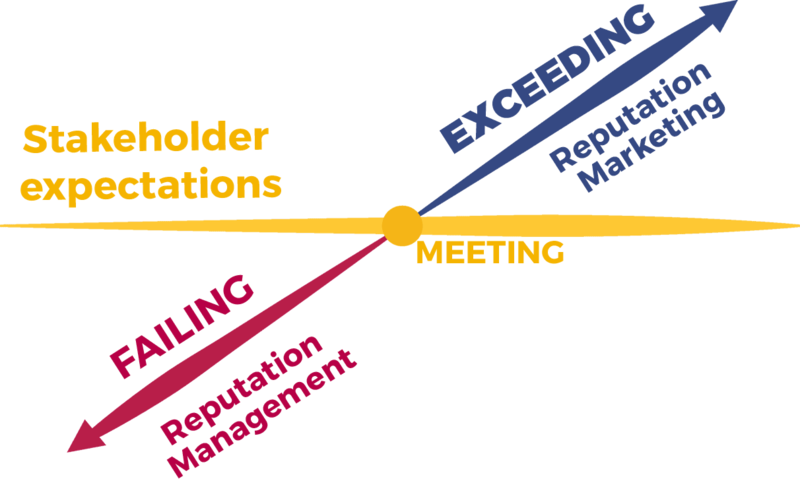 Most organizations and individuals are likely somewhere in the middle or lagging with some high moments, but rarely across all stakeholders. Take the Reputation Assessment to see how you score. Since reputation is an ever-changing intangible asset that is defined by your ability to meet stakeholder expectations, it's important to understand and mitigate potential risks that may impact your reputation enterprise-wide. Failure to account for reputation risk can result in: lost revenue and profit, stagnant innovation, low employee engagement, decreased shareholder value, increased operating costs, increased regulatory review, dysfunctional teams, lagging market share, low brand equity, expensive sales and marketing investments, high employee turnover, low customer retention, costly crisis communications and reputation management, increased customer service costs, and more. Reputation management is the active cleanup of business reputations or an individual’s reputation after a singular, negative event has gained significant public interest and coverage. Negative events that can impact reputation in a single instant may include scandals, criminal acts, product recalls, bad press, lawsuits, negative reviews, etc. Many individuals and organizations require online reputation management specifically in organic search results like Google, on social media sites, on review sites like Yelp, and beyond after a negative story has surfaced in these locations. Companies and individual consultants exist who can help “clean up” your digital presence by displacing negative results and promoting positive mentions. Content inventories and audits aren’t new, but you should actively review all of your content to assess whether you’re communicating with all of your stakeholders according to your mission and values. Actively evaluate your own content by reading and listening to feedback, and analyze whether your editorial calendar consistently hits all points of your mission. Branding and marketing investment can only go so far. Once a stakeholder has an experience with your organization, a reputation is formed. This reputation can be good, bad, or everything in between. Track stakeholder conversations to measure sentiment and understand areas for opportunity. While many social listening tools automatically assign sentiment, it’s more important to measure the topics being discussed so you can act on them. This is where communications and marketing teams often hold the keys to a great reputation, but enterprise organizations aren’t set up to receive this feedback well. Set up a system for feedback and management. This is where the role of the reputation marketer is essential to the success of your organization’s reputation. Just like content strategy, reputation strategy needs a home and someone to actively measure, manage, govern, and cultivate it. These reputation marketers need authority within the organization so they can integrate the information to help maintain your organization’s overall mission. Consistency starts with communication; everyone in your organization needs to know the mission and their role in it. Ensuring everyone understands your organization’s reputation and how they are each an integral block in the building of that reputation is critical. You may want a great reputation, but first you must build a good one. As with most things, a reputation is built one step at a time. The element of surprise is the icing on the proverbial reputation marketing cake. It’s that moment when a stakeholder is amazed, pleased and ready to spread the good word — for you and your organization! But surprise can’t become the norm; that’s impossible to maintain. Instead empower the people in your organization to be looking for and discussing how to discover these potential moments. Analyze them when they happen, and then use them strategically to enhance your reputation marketing. Are you a friend of reputation marketing? We're looking for a few early advocates to help us spread the word and host events in your area. If you're interested, say hello.